A beautiful piece with three lace sections. It hangs exceptionally well and will be a favored piece in your wardrobe. When the sum is greater than its (simple, elegant, lacy) parts, lovely things happen. 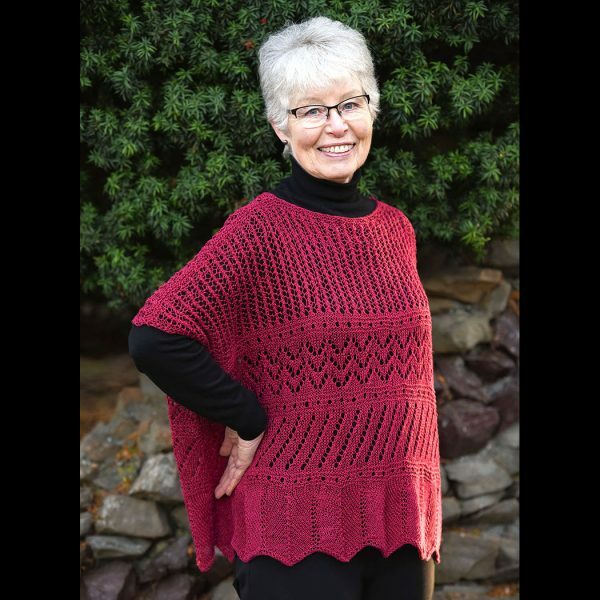 Everyday Fancy is the perfect layering piece and a wonderful introduction to several different lace patterns. Summery and versatile in crisp linen in deep, rich jewel tones or neutral earthy shades, beautiful thrown on over a camisole and jeans, a turtleneck, or a simple dress for an evening out. Is flat rate and not based on address. Keep up to date on our latest news and happenings!